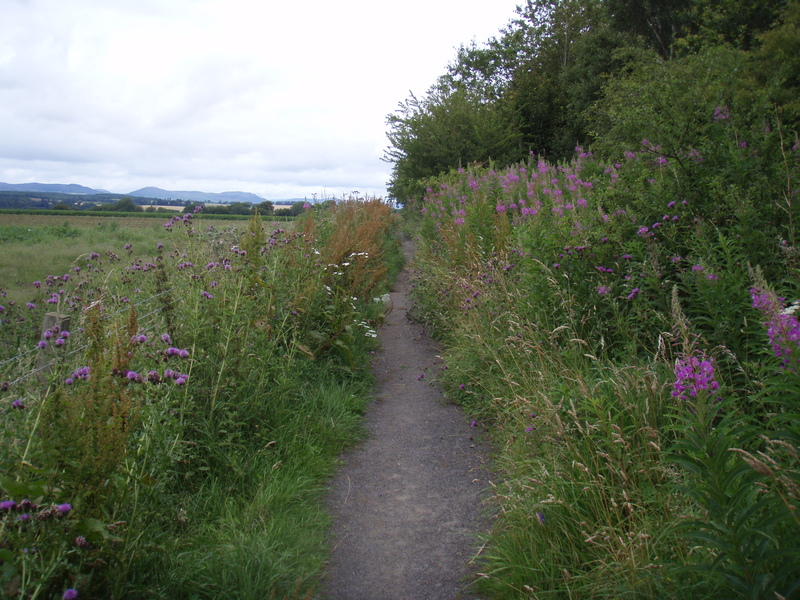 Perth & Kinross Countryside Trust’s recent project at the Kirkmichael path network has involved the waymarking of over 10 miles of paths with short, medium and longer routes to suit all abilities. 4 new interpretation panels are being created and a new path network leaflet is to be produced, which will be available to download at their website. The project has been a collaboration between PKCT and the Mount Blair Development Trust with PKCT managing all the contract work. Funding has come from the Drumderg Wind Farm, Commonwealth Games Legacy Fund, Awards for All and the PKC Community Environmental Challenge Fund. Kirkmichael is 12 miles to the west of Pitlochry and has great long distance path links to Pitlochry, Dunkeld and Glenshee. Nearby Kindrogan Forest is also well suited to mountain bikers. There are a number of excellent hotels, B&Bs and pubs in the village and the Cateran Trail runs right through. Back in February we gave an update on the path improvements at Acorn Dell, Crieff. We’re glad to say that the work there has finally been completed and that the path is now open. Acorn Dell has been a joint project between PKC, PKCT and the Crieff Community Trust. The project delivered access improvements to a community owned piece of land currently called Acorn Dell although the Crieff Community Trust are exploring options to change the name of the site. One of the key benefits from the project was reducing the gradient to the slope at the start of the route. The Crieff Community Trust will be looking into future management options for the woodland and further public access improvements. Here’s some pics of the Contractors (Thomson Landscapes) in action! 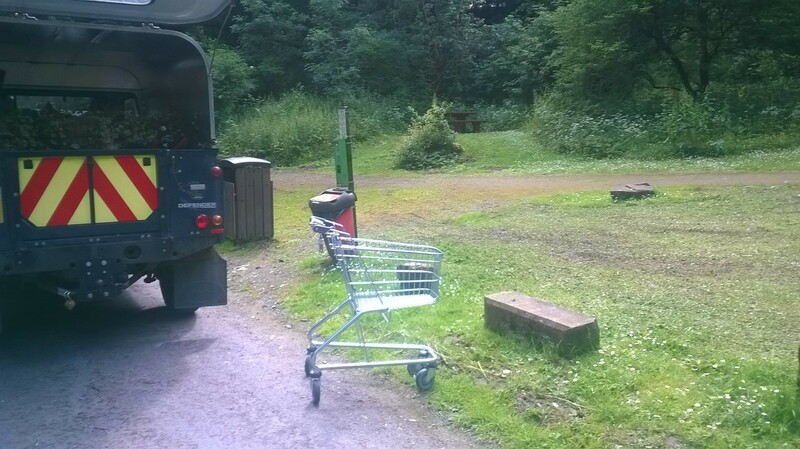 It was not a insect, bird, flower or lichen… it was a shopping trolley! We are incredibly proud that these are rare in our parks and green spaces. And thanks to our volunteers this little fella was removed from the site quickly and reunited with its rightful owners. Something you do not expect to find! 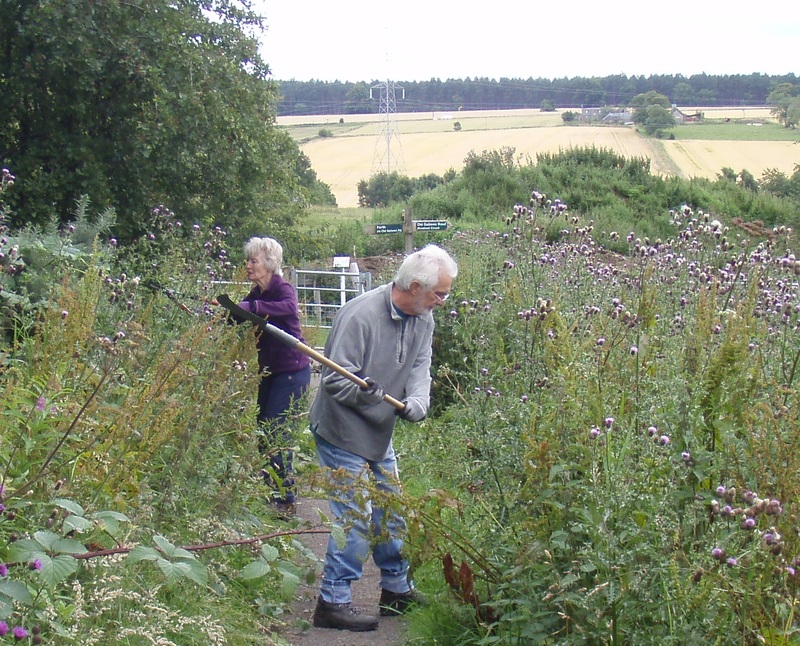 Alan and Heather starred in the epic parting of the vegetative ways at Blackruthven, behind Noah’s Ark (the children’s activity centre) on the western edge of Perth last week. About 450m of path was cut back, appreciated by at least 10 people who passed by while we were there. (So no doubt hundreds more in time.) We came across a few orpines or livelongs, a type of sedum – very pretty – buried in the undergrowth. The ranger stupidly did not think to take a picture – does anyone have one of this plant that they can send in? The pictures show before, after and battle commencing. Partnership working to keep our paths clear. For a few years now there has been a partnership approach between Rannoch Path Group and Ardeonaig Centre to work on the paths in the Rannoch and Tummel area. The Greenspace Ranger has joined this partnership, by providing tools, expertise and resfreshments. This has enabled a number of paths in the Rannoch and Tummel area to recieve annual maintenance and improvements over the last three years. Out and about yesterday checking some paths with Ian Montgomery, one of the Greenspace Rangers who cover the area from Perth over to Kingoodie and down to Kinross. 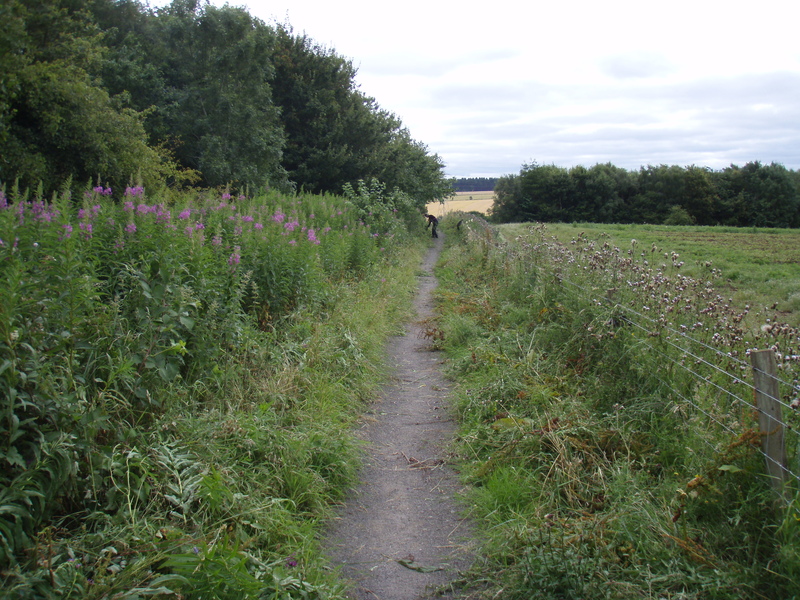 The idea is that we both walk paths which are relatively close to one another, checking whether the entire path is accessible, whether there are any physical obstructions and photographing suitable locations for finger posts and waymarkers. Ian was off on a circular walk near Castle Law behind Abernethy, so I dropped him off, arranged to meet him in a couple of hours and set off for Powrie Park. I parked in behind the Tennis Courts, donned my wellies, checked that I had my water, camera, phones, map & pen and I was off! Mine was a short walk down the side of Powrie Park out into the farmland, heading north at frst then zig-zagging around field edges until I reached a hidden gem of a place at the baks of the Earn by the old Carpow Pier. Before turning around & heading back the way I’d came, I had a chat with a resident of one of the nearby cottages who informed me that the “shortcut” was well used by the good people of Abernethy, and that some folk bring a rod for a spot of fishing, while others come down simply to stand around enjoying the view from the old jetty. I picked Ian up much sooner than I expected, out on the Glenfarg Road (best not ask how he got way out there, or why he was covered in mud all down the one side!). We compared notes and stories and set off for more of the same in the afternoon over at Forteviot. Here’s a couple of photos I took along the way. My first four-leaf clover of the Summer!